This paper is devoted to controlling a class of nonlinear systems over a communication network in the presence of packet transmission delays, packet losses, quantization errors, and sampling-related phenomena. Specifically, based on the Takagi–Sugeno (T–S) fuzzy approach, this paper presents a way of designing a quantized controller that allows all the states of nonlinear NCSs to converge exponentially to a bounded ellipsoid. 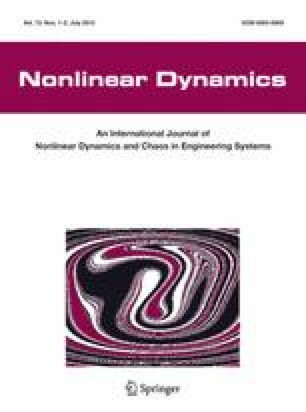 In particular, this paper provides a method capable of exploiting fully the time-varying delay term d(t), induced by Jensen inequality, for nonlinear NCSs. This research was supported by Basic Science Research Program through the National Research Foundation of Korea (NRF) funded by the Ministry of Education, Science and Technology (2012013687).